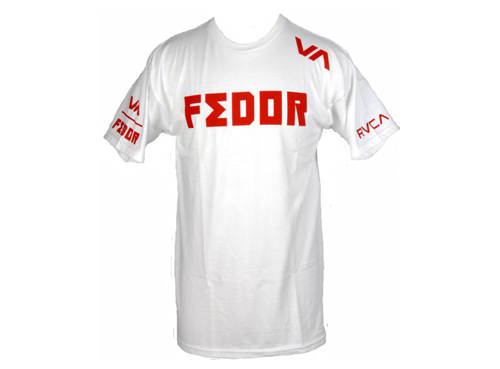 The Fedor Corner One T shirt from RVCA is a simplified version of the original Fedor RVCA t-shirt. 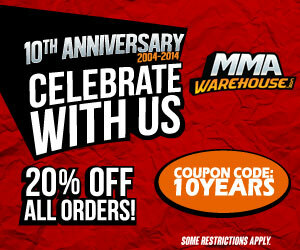 This new version leaves out the “war bird” graphic for a very streamlined design, with only the word FEDOR on the front. The back has the RVCA logo. Fedor Emelianenko’s trainers and corner men typically wear this shirt during his fights. RVCA makes a unique blend of MMA gear that has a particularly bold, clean style that is simple but stylish.